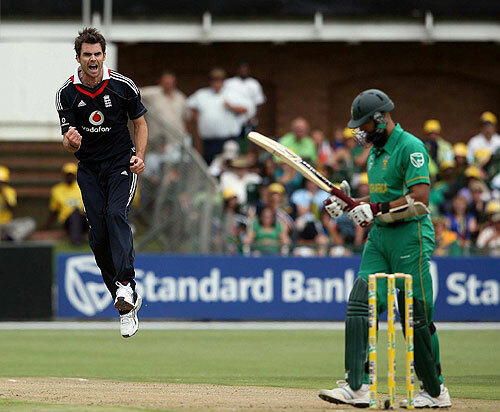 Jimmy Anderson’s first ever ODI five-for was a sight to behold (highlights here and here). South Africa’s batsmen, having been so imposing at Newlands on Friday, were in disarray as the hosts were skittled for 119, with the ‘Burnley Express’ taking 5-23, including the pivotal wickets of Amla, Boucher, and Duminy. England’s tour so far has been more up and down than a kangaroo on a trampoline, but they find themselves 2-1 up in the 50-over series with one to play. Cue a 100+ run defeat for the tourists in Durban, probably. As an aside, it may be worth noting that Kevin Pietersen failed with the bat again, lasting six balls and making just three runs despite getting a reprieve on his second ball when Morne Morkel dropped a sitter. Could England be getting good at One Day cricket? The batting line-up actually seems to be reasonably balanced, with openers who are neither ridiculously cautious, overly aggressive, or Ian Bell. Meanwhile, Eoin Morgan has found a useful niche, and Matt Prior and Luke Wright at six and seven are actually quite good. The bowling was also fairly impressive on Sunday, and the discovery of Trott as an economical medium pace bowler has been an unexpected boon. Monty Panesar may have been cut adrift by England despite winning the Ashes for them with the bat, but he’s on a new mission now – trying to bring success to the Highveld Lions. Monty looks set to make his debut in tomorrow’s match against the Chevrolet Warriors, and it will be interesting to see how he copes with the pressure of being the side’s star turn. 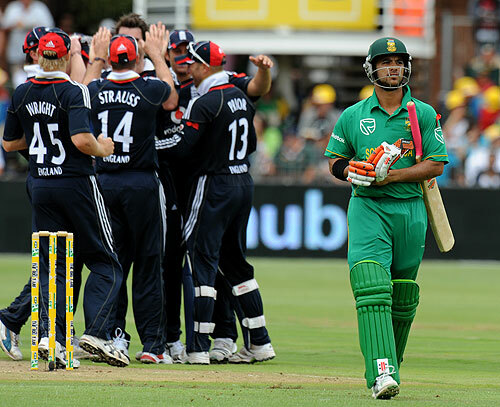 With Monty facing a difficult winter out in the metaphorical cold, success in South Africa could be just the kick-start he needs to get back onto the international scene. Overhauling Swann and Rashid will take a serious improvement in Panesar’s technique, and some time playing overseas could help him add some much-needed variety to his bowling. Panesar’s new team-mates will need a strong performance to get a win against the Warriors, who have just recorded a victory over the Dolphins, with their performance in the field particularly impressive. 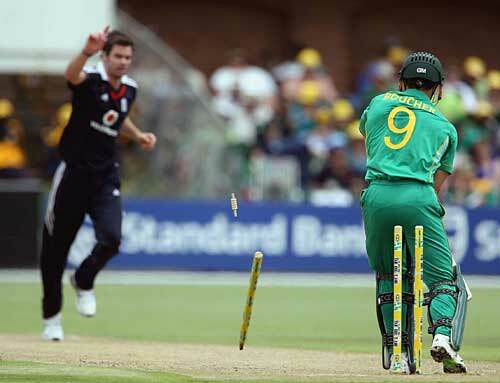 They won’t need to worry about facing Wayne Parnell, though, as he is suspended for undisclosed disciplinary reasons. Something has happened to England’s batsmen – have they been replaced by replicas grown from plantlike pods, identical in every way apart from their ability to pace an innings and remain steady under pressure? Certainly, Owais Shah demonstrated a seldom-glimpsed ability to keep his head, making 98 (OK, he didn’t maintain his composure long enough to make a century) of England’s 323 against South Africa. Eoin Morgan also continued the swashbuckling form he displayed against Sri Lanka, knocking off 67 from just 34 balls to keep the pace up after Shah and Collingwood’s 163-run partnership came to an end. The contrast with the pathetic displays of the late summer could hardly be more striking. With typical timing, England seem to be getting serious about 50-over cricket just as the format is on its deathbed.